This is a prayer calendar for November that focuses on giving thanks. 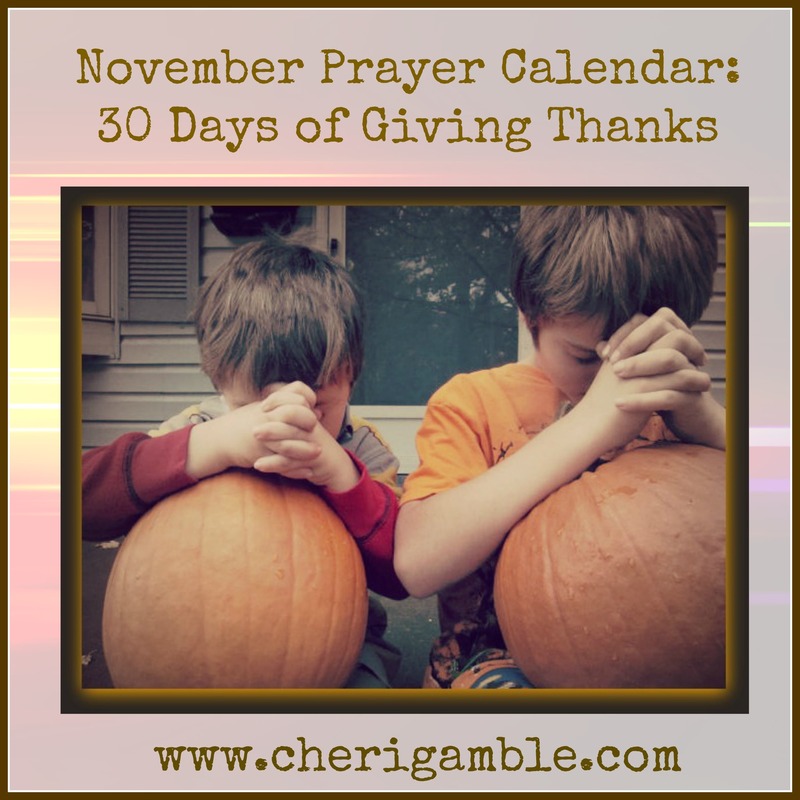 Here you will find 30 days worth of prayer ideas to help you and your child develop a grateful heart. This month’s prayer calendar has a special focus on thankfulness. Giving thanks is a very important part of prayer, so we are going to dedicate an entire month to thankfulness! This month you can help your child spend a little time each day thanking God for the blessings He has given. You will find 30 ideas in this calendar, but I’m sure you and your child can think of even more! Don’t let this prayer calendar limit your gratitude. Instead, use this calendar as a starting point to help you and your children express your thankfulness this month. You might also be interested in the Thankfulness Bible Reading Plan. This is another great way to help your child develop a grateful heart. And, while you’re at it, jump on over and pick up your copy of the 365 Days of Praying for Your Child prayer guide for November. This one is also focused on thankfulness! 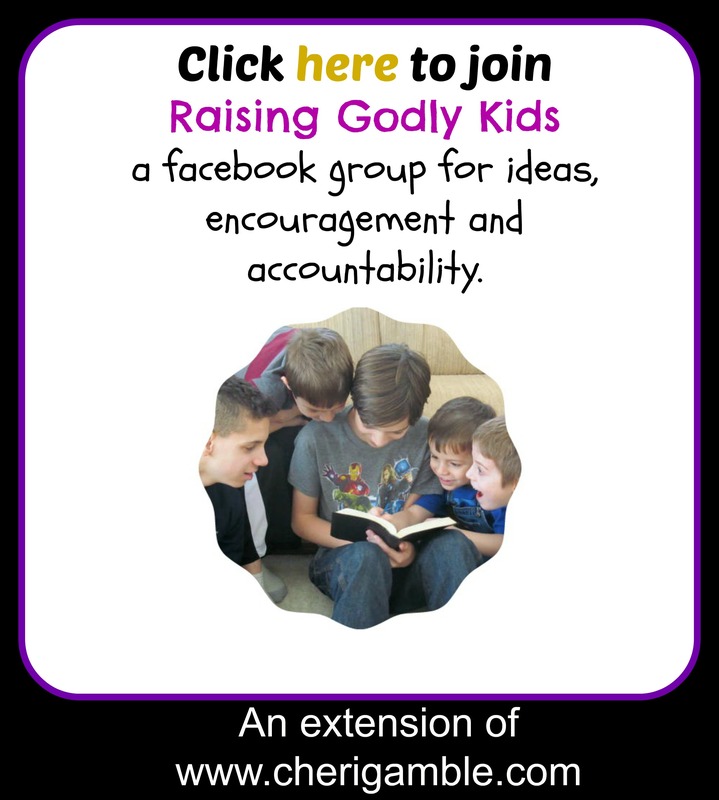 Before you leave, please like my facebook page and join the group “Raising Godly Kids”. Have a great November and Keep Praying! PS. I know that some of you might find this time of the year rather difficult. Perhaps you are going through circumstances that make it extremely challenging to have a thankful heart. Life is tough, and sometimes, after dealing with the hurts and struggles of life, we feel like we have little, if any, energy left over for giving thanks. If this describes you, please, please, PLEASE read Giving Thanks: When It’s Really Hard to be Thankful. I wrote it for you.